Now that it is December, holiday season is in full swing here! The only thing missing is the snow. 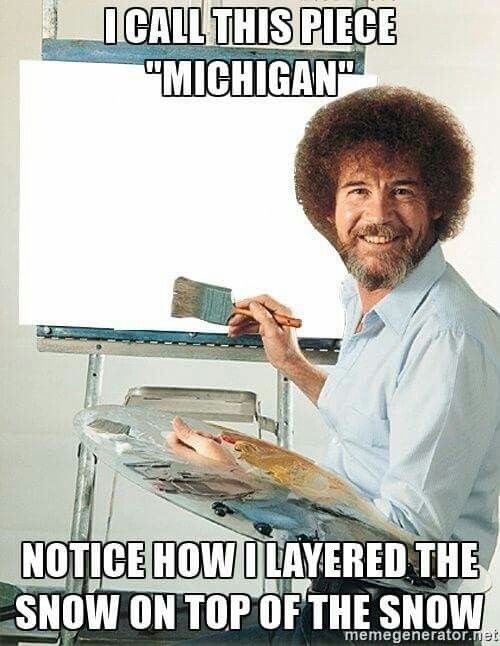 But, it’s Michigan so if we just wait another second there will be plenty! Having to spend lots of time with extended family is a challenge…well, not for me; my family is PERFECT. But for many, it has its challenges. The uncle who voted for Trump. The grandma who voted for Clinton (both of them). The cousin who never does the dishes and falls asleep watching the Lion’s game. Then, wakes up the minute you change the channel to watch the much more entertaining Packer’s game. And, of course the brother-in-law who always stirs the pot enough to start a fight and then packs up his family and heads home…three states away. As you can see, it can be quite the challenge! Seriously, though have they never read the Bible. Patient. Kind. And, all those other things too! So, I have been thinking about the “love chapter” a lot this week. And, I will be the first to admit I am really, REALLY quick to remind the people around me what love is NOT. When someone makes holiday plans and just expects me to drop everything and be there when they say without asking if it works for me. Well, love isn’t bossy is it? Or, if a person cuts me off in traffic, or in front of me at Starbucks. Well, love isn’t that pushy is it? And, when I see someone on a certain social media platform racing to condemn a person, place, or thing without a second thought, or pause, or listen. Hmm, love is definitely not so quick judge; right? You see in my haste to point out what love is NOT I have most assuredly forgotten what love IS. And, I have failed in living out the definition of this highly esteemed word that I seem insistent everyone ELSE is forgetting! I am sure you recognize those words up there. And, they are not mine. They are His. Those words need to stop me mid-thought, mid-post, mid-shout and bring me back into focus. The love that I have been given far outweighs any of the love I could ever display. And, I know I will and have failed. But, just because I fail doesn’t mean I stop trying or stop remembering. I will choose happy this holiday season (in the midst of family chaos, shopping disasters, and in spite of social media), because faith, hope, and love abide, these three; but the greatest of these is love.